Damon went all Jack Bauer on Mason in "Plan B." He ended up tearing the werewolf's heart out. 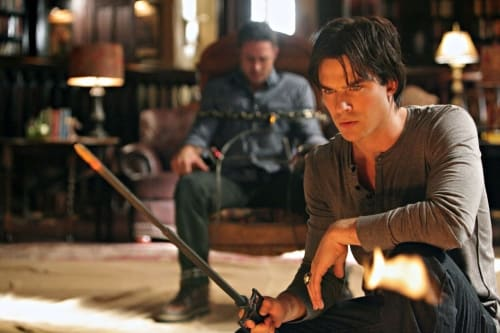 The Vampire Diaries Season 2 Episode 6: "Plan B"
The Vampire Diaries Review: Plan B... Ware of Katherine! Stefan: Elena and I are taking a pause. Jenna: That's not what it sounded like this morning. Your search for life's purpose is as obvious as it is tragic. Permalink: Your search for life's purpose is as obvious as it is tragic. The Vampire Diaries Round Table: "Plan B"